London: Andre Deutsch , 1966. First edition of this “tour de force” (New York Times Book Review). Octavo, original cloth. 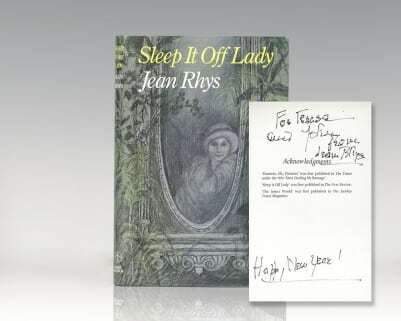 Signed by Jean Rhys. Fine in a near fine dust jacket with a touch of rubbing. Introduction by Francis Wyndham. Jacket design by Eric Thomas. Rare and desirable signed. 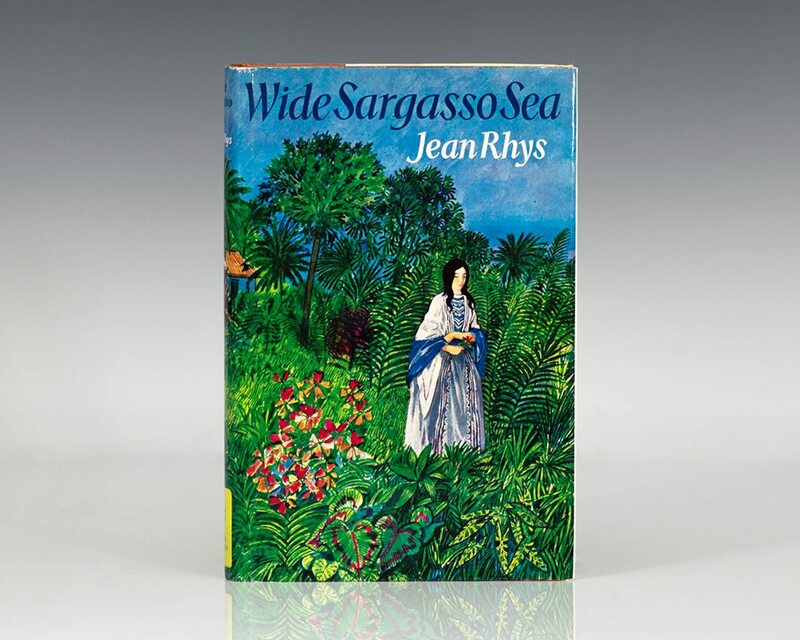 Wide Sargasso Sea, a masterpiece of modern fiction, was Jean Rhys’s return to the literary center stage. She had a startling early career and was known for her extraordinary prose and haunting women characters. With Wide Sargasso Sea, her last and best-selling novel, she ingeniously brings into light one of fiction’s most fascinating characters: the madwoman in the attic from Charlotte Bronte's Jane Eyre. This mesmerizing work introduces us to Antoinette Cosway, a sensual and protected young woman who is sold into marriage to the prideful Mr. Rochester. Rhys portrays Cosway amidst a society so driven by hatred, so skewed in its sexual relations, that it can literally drive a woman out of her mind. Basis for the 1996 John Duigan film bearing the same name and the 2006 film by playwright Stephen Greenhorn, produced by Elwen Rowlands and directed by Brendan Maher. It starred Rebecca Hall as Antoinette Cosway and Rafe Spall as Rochester. First British edition of this collection of short stories. Octavo, original cloth. Presentation copy, warmly inscribed by the author on the dedication page. The recipients were, John and Teresa Chilton. Chilton was a well-known British Jazz trumpeter and writer who played with George Melly. Fine in a fine dust jacket. Jacket illustration by Rosemary Honeybourne.